Best described as 'the Female Billy Joel at his best' and noted as such in BillBoard Magazine and Hollywood Reporter in the past. For the future? Any thoughts are up for grabs. It's all new and raw and honest and different. 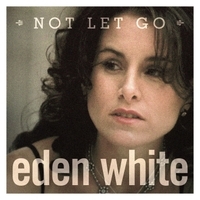 Two months later, Eden White opened for Sarah McLachlan in Bryant Park, New York City, to an audience of 10,000 and ended up selling over 4,000 copies internationally - mostly due to word of mouth and east coast tours. "This IS The Way" won't leave your brain, represents the musical continuum and leaves no stone unturned. "This is the Way" exemplifies Eden's abilities not only as an awe-inspiring musician and vocalist, but as a phenomenal songwriter. Triple A tastemakers should NOT pass up a listen - she deserves to be huge.